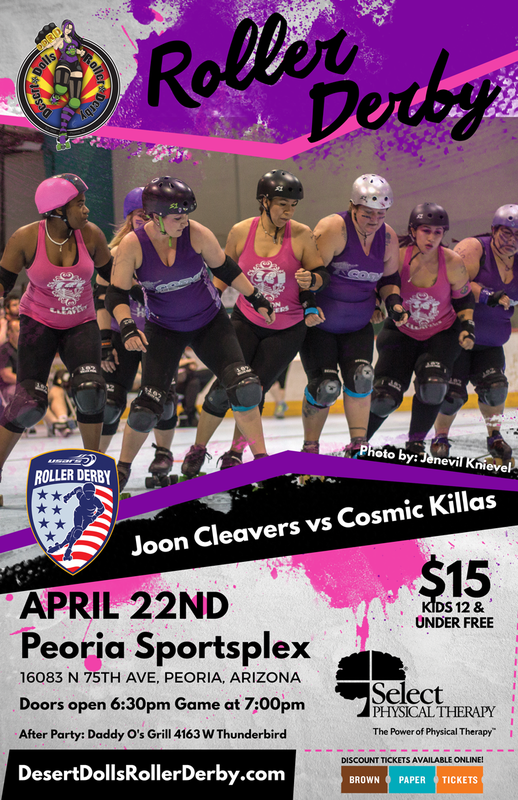 On April 22nd, the Joon Cleavers and the Cosmic Killas take the track and vie for a spot in the Championship game. You do not want to miss a minute of this fast paced roller derby action. Join us at Daddy-O’s Grill after the game for some food, drinks and fun!